Fortuner vs Trailblazer 2018: Which SUV is the King of off-road? In the body-on-chassis line, two brands are prominent. Find out in the Fortuner vs Trailblazer battle, which SUV reigns supreme in the off-road below. In the SUV segment, nothing beats the two most reliable brands such as Chevrolet and Toyota. When it comes to performance and reliability, these two continue to put up competitive vehicles that are available for most car enthusiasts nationwide. Just this year, these two giants had released yet another one of their masterful creations: Toyota Fortuner 2018 model and Chevrolet Trailblazer 2018 as their clapback. Philkotse.com wants to look at these models further today and find out which of these two bad boys really come out on top. 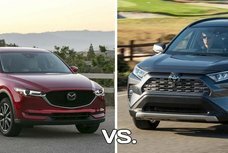 Like a heated boxing match, let us discover which of the two SUV models is the king of the (off) road. 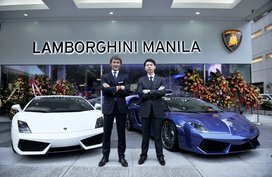 If these two models were Hollywood superstars, ladies (and gentlemen alike) will surely swoon over its amazingly sharp appearances. The Chevrolet Trailblazer's appearance is an all-American classic. Who wouldn’t recognize this household brand with its front fascia sporting the brand’s recognizable dual-port grille, elegantly accentuated by its golden bowtie? But what sets it apart from its predecessors is the reimagined look that this second gen trailblazer has. Completing its more aggressive, yet subtly stylish look is its new headlights and DRLs. Topping off its look is its enormous faux air intakes, the SUV’s exterior is a combination of hardiness with a touch of class. If there is one word that describes this Chevy model, that would be sharp. Which of the two has a sexier back? 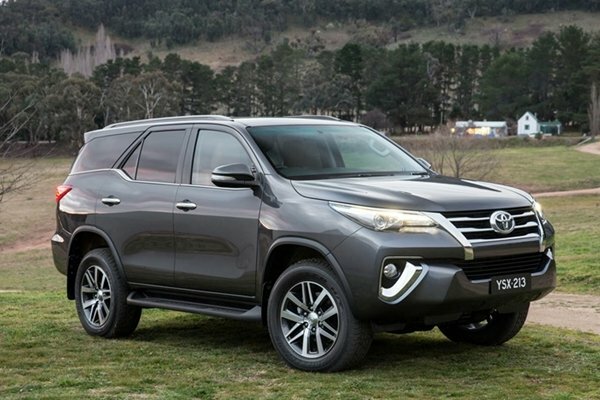 The Toyota Fortuner is also a stunner, with its longer hood a new ‘nose’. 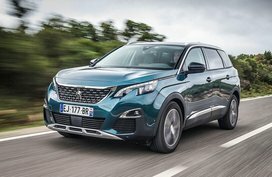 The nip and tuck done in the exterior of the variant of the 14-year old SUV line made the newest model ever more stunning. 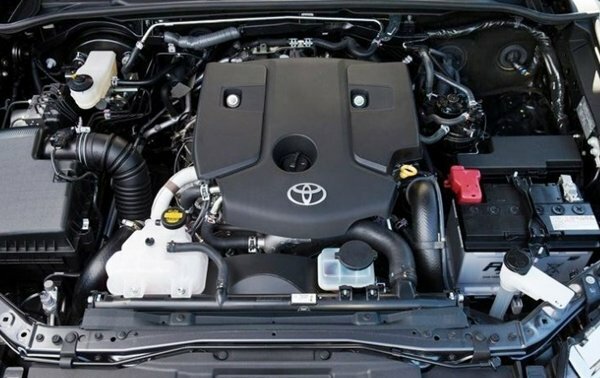 Now with a newly designed grille bolstering the iconic Toyota logo, one can easily fall in love with this midsize. Completing the look is its haze lights and LED lights both placed on each side of the front bumper, complimented by strong horizontal lines, sharp creases and metallic accents. 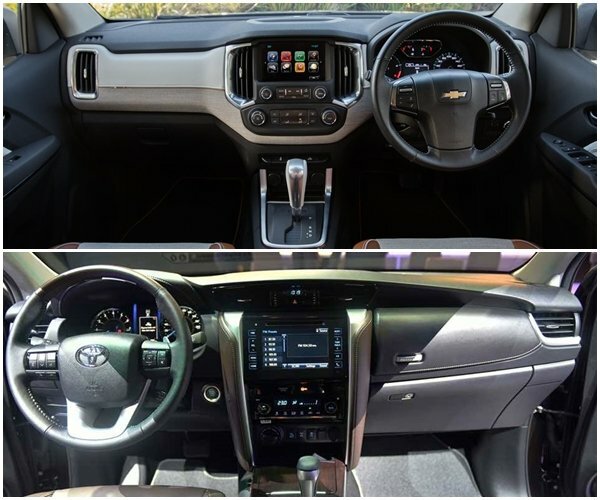 Both the Fortuner and its Chevy counterpart boast the utility of having a 7-seater capacity. The problem though for Fortuner, it sacrifices its boot space if the rear seats are installed. Seats that can only fit smaller people, which makes us conclude that the Toyota variant may be stretching the 7-seater capacity at its own expense. Exacerbated by its flimsy strap fasteners and side-folding elements, the inelegance of the third row configuration is a stark contrast to the modern Toyota design it imposes. Chevrolet’s answer to the third row dilemma is their ergonomically sound floor-folding system. This creates the perception of added space, despite the slightly more packed legroom in its rear seats, compared to the Fortuner. A closer look in the interiors. Would you prefer Toyota's sophistication or Chevrolet's elegance? This further compliments the overall sophistication the interiors that Trailblazer sports. Its leather-wrapped seats and steering wheel is a far cry from Toyota’s urethane-rimmed wheel and cloth seats. Both cabins of the two variants however, are visually pleasing and exude an upmarket feel. Chevrolet Trailblazer 2018 model has adapted the US-mode Colorado pickup layout, leveling up the aesthetics of itself. The only thing that perhaps separates the neck and neck competition between the two interiors is its entertainment system. Toyota’s tricky dot matrix-screened unit barely holds a candle to Chevy’s MyLink touchscreen infotainment system when it comes to ease of use, functionality and overall appeal. 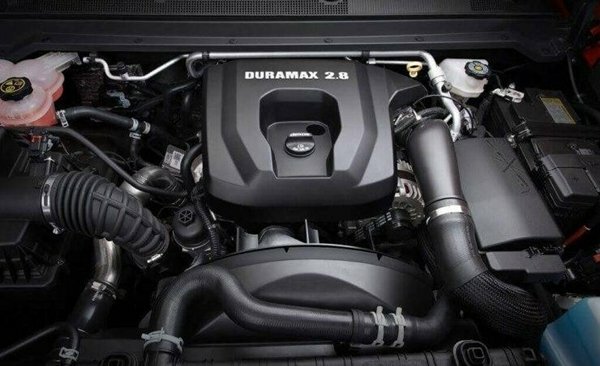 Trailblazer still continues to have the most powerful engine in its class, with its 2.8L Duramax turbo diesel engine under its hood. The pristine engine boasts a powerful 200 HP and a max torque of 500 Nm. This is comparatively better than Fortuner’s 2.4 L 4-diesel mill that only dispenses 147 HP with a max torque of 400Nm. Make no mistake however, as what Fortuner lacks in off-roading prowess that the Trailblazer has, it makes up for its smooth and even ride performance and acceleration, one that is leaps and bounds compared to the disappointing performance of its predecessors. When it comes to absorbing abrupt bumps, Fortuner wins over Trailblazers, as the Toyota SUV does a great job in dousing impact harshness due to its new chassis that offers more torsional rigidity and dampers in its suspension that does its job better. One can argue however, that the sincerity of the off-roading experience that the Trailblazer offers is more earnest, at least in the body-on-chassis class. With the 4WD-Hi system and a high-performing engine, who does not want to overcome obstacles and enjoy the rough road? When it comes to fuel efficiency, both SUVs are average performers. The Trailblazer bests the Fortuner by a slight margin with a 12.2L/100km mixed while the latter performs at 8.92 L/100km in mixed city and highway. 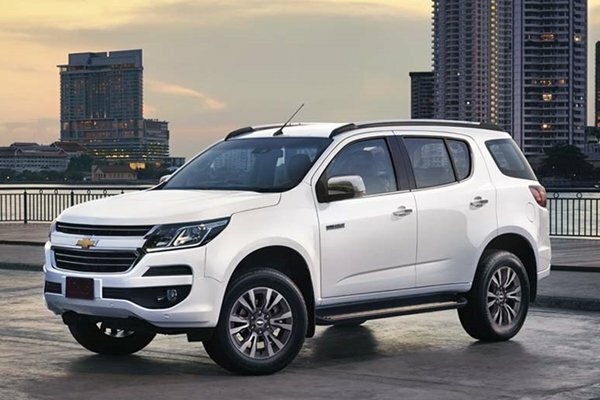 At first glance, you might be thinking that Toyota Fortuner is slightly more attainable than Chevrolet Trailblazer; with it being priced at ₱1,921,000 compared to the latter’s ₱1,998,888. 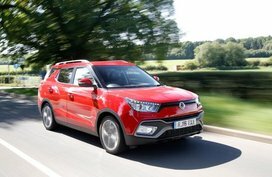 But what you do not see is the plethora of unique features that the two brands respond with, to give you a bang for your buck. 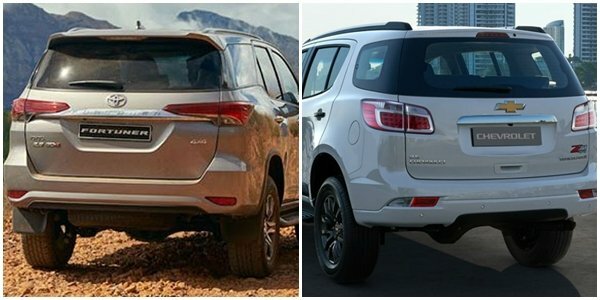 Toyota Fortuner vs Chevrolet Trailblazer: Which is more attainable? Chevrolet boasts its ergonomically perfected design, leather upholstery and parking sensors. 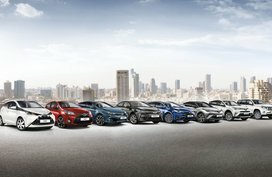 Toyota claps back with its keyless entry and sophisticated driver-assistance coordination. Warranty and service-plan wise, Chevy wins with 2 years and 20,000 km longer, which probably comes from its price point difference. 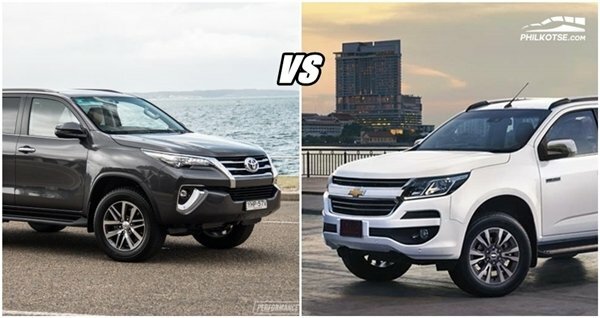 While at this point, with all the cards laid down, the who the winner in the Toyota Fortuner vs Chevrolet Trailblazer battle is really depends on user preference. Some would even argue that one’s perception and choice depends on whether you like American or Japanese brands. In a way, there is a certain semblance of truth in that statement. However, I personally prefer Chevy’s sleek and sophisticated look and feel, overall - plus the comprehensive service plan that it offers to its patrons, even when it hass a defined price point disadvantage compared to Toyota. Thinking about the many great reasons why one buys an SUV, I feel that the Trailblazer is more sincere when it comes to living up to its name. And many people are swayed to the Chevy side just like me too. What do you make of this? Would you go for a Chevy Trailblazer? Let us know in the comment section below!